When I look in my various toolboxes, tool bucket, or workbench, I see a collection of instruments I've purchased over the years that have slowly turned me from an incapable dweller to a moderately accomplished home DIYer. Some of the tools, like my drill or circular saw, are must haves for anyone looking to dabble in DIY. While others, such as my mortising machine or router and router table are more specialized tools that you don't often find hanging around any old basement. There are some tools, however, that I never imagined would end up in my tool collection, let alone even be considered a tool at all. Last week I purchased and received a tool that cleanly fits in the category of "is that really a tool?" The "tool" I'm talking about is a wand style metal detector -- the kind you might see at an airport or at a security checkpoint in the lobby of a government building. I realize this may seem like a rather odd tool, but I assure you, it very rightly deserves a spot on my tool shelf given the very valuable service it will provide. No, no, we're not hiring prison inmates to help me out on our various house projects, nor do I have any concerns that Lulu might be packing or carrying a blade (even if she is, she has no thumbs to make it useful). 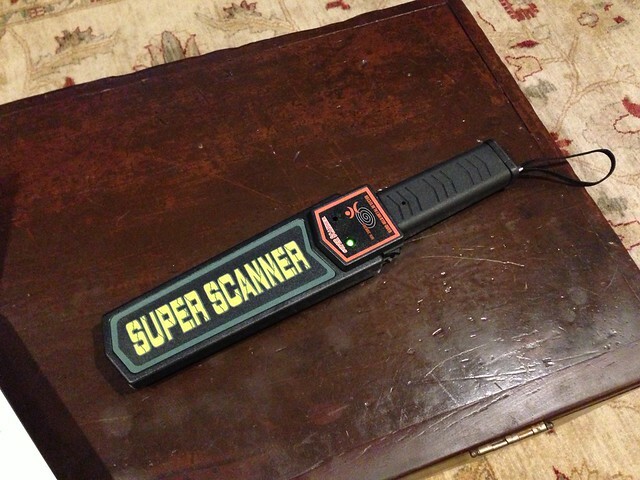 But I am absolutely using this metal detector as a personal security device of sorts. I've long been planning to work with reclaimed lumber. 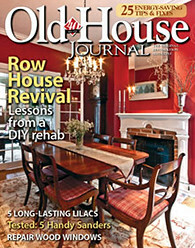 The old growth framing members removed from old houses have such amazing character and color, and their composition is so far superior to anything you can buy today that it's just too good to ignore. The primary problem with working in old growth and reclaimed lumber is the potential for foreign bodies in the wood. 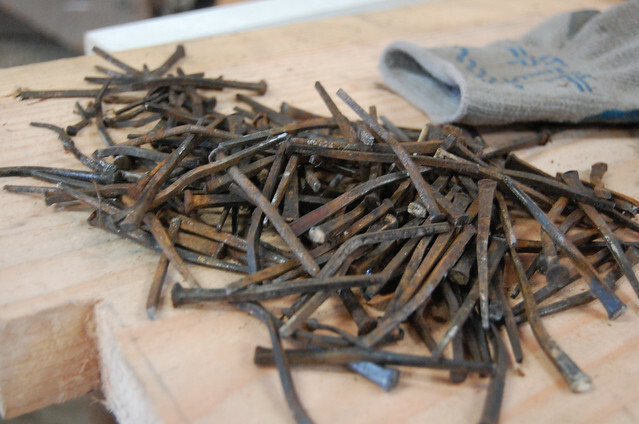 More specifically, I'm talking about nails, screws, staples, or other metal objects. 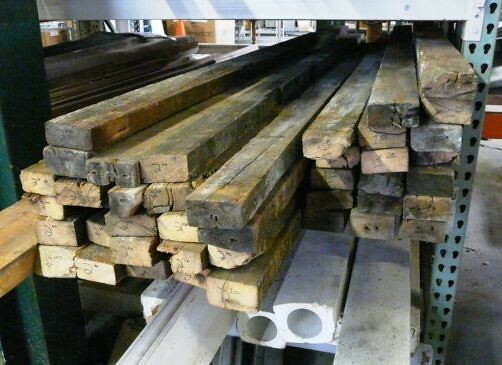 When using reclaimed lumber there's a fair amount of sawing, cutting, and planing that occurs to achieve the correct thickness and lengths. In new lumber you don't typically need to worry about metal in the wood (though it has been known to appear). But reclaimed lumber can have any number of prior uses and often has original nails or fasteners still in the wood. Though your eye can identify many items, in order to ensure all foreign bodies are removed from the lumber before sawing, it's essential to wave the metal detector over the wood to identify any remnant objects. Complete removal is the only way to help prevent damage to the tool's cutting blades and potential damage to your body. When I was shopping for a metal detector, I had looked around for some time for a good one that wasn't ridiculously expensive. Since I'm trying to find screws or nails in wood and not trying to find a knife tucked in a potential assailant's waistband, I felt I probably didn't need to drop $100 or more on a high end version. After searching and reading many reviews I settled on one you can find on Amazon. At just $30 (Under Amazon's "Warehouse Deals" and shipped using Prime) it seemed like a steal, and one of the reviewers even commented that their use was precisely what I would be using it for and it had been working well in that capacity. When the metal detector arrived I popped in a battery (a 9 volt, I still don't understand why those are ever used), and gave it a wave. As I've seen many times at the airport I verified function by waving it over my belt buckle and the device gave an affirmative "beep." I then waved it over Lulu...nothing, seems to be correct. Finally I waved it over my left shoulder/collar bone area, "beeeeeeep!" Yep, that's about right, it detected the titanium plate below my skin, evidence of my own extreme stupidity. 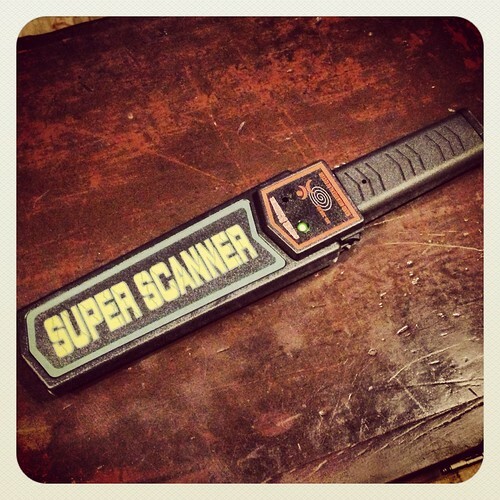 I took the detector into our basement and grabbed an old section of 2x4 I had used for something long before and waved the wand over the end I suspected was clear. After no indication of metal, I waved it over the end where I remembered a nail had broken off under the surface. Though the nail was not visible from the outside, the wand beeped in the affirmative when I hovered over the area. Now that I have a good and inexpensive metal detector, I can head out to Community Forklift to pick up a few pieces of their old growth and reclaimed lumber and start working on a few projects, knowing that I'll be safer while doing it. It may be an odd tool to have added to my collection, but it seems like a good and useful tool at the same time. Do you have any really random and unexpected tools in your collection? Maybe some household or items with other purposes that you've turned into an invaluable addition? Let us know what's useful and maybe we can add it to our toolbox as well. You know her better than you think you do. She would totally cut you! Good to know. I may need one of these soon as well. I think there's a place near me that offers the reclaimed as S4S in addition to the regular rough cut or "as-is" condition. 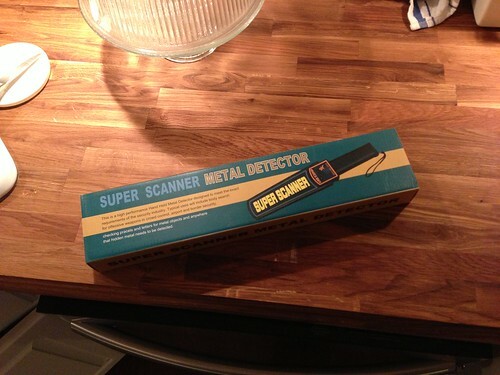 I like the metal detector you have there. I hope I can get a good price for that as a Valentine's Day gift for my husband. That's very clever! I've seen the 'plate on a stick' hobby type of metal detectors used to clean up nails from roofing sites, but hadn't considered the need when working with reclaimed wood.